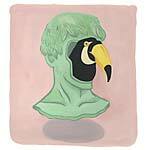 Soundway present the debut EP from The Mauskovic Dance Band -- a heady, tropical blend of cumbia, Afro-Caribbean rhythms, and space disco, resulting in a vibrant hypnotic groove destined for bustling dancefloors. 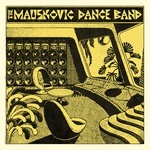 The Mauskovic Dance Band is the brainchild of the Amsterdam-based producer and musician, Nicola Mauskovic. A seasoned drummer, he finds himself constantly in demand -- as part of Turkish psychedelic outfit Altin Gün, a recent tour with the revival of Zambian legends W.I.T.C.H., and a worldwide tour with psych-pop artist Jacco Gardner, with whom he then went on to form the dance-oriented duo Bruxas.